Price displayed on this site is all in Australian Dollars without Tax. Easy to follow and easy to shop, our online store is your best partner ever ! After finding your favorite opal / jewellery, click ADD TO CART button and continue with shopping. Please let us know anytime if you're unsure. PayPal : We accept all major Credit card, eChecks and Bank payment through PayPal. PayPal accepts Credit cards from customers worldwide. They also accept eChecks from various countries. If you open a PayPal account, you can use your bank account to purchase online from most countries. Funds Transfer : Once we have your order, we will forward you our bank account details. The item will be shipped within two business days after your payment is confirmed. Your purchased item(s) will be shipped within two business days of your payment confirmation and will be delivered by Australian Post or Japan Post. Normally, delivery time will take about 5 to 7 working days, depending on the location, and may take longer if you're in the remote area or depending on the shipping method you chose. Shipping cost can be varied depending on the destination. Please see the "Shipping fees & Charges". The cost will be automatically calculated in the system for you and will appear separately alongside the purchase price at the cart. Some countries may impose Duties or Taxes. Our shipping costs do not include any duties or taxes which may be payable in your country. If you are unsure, please contact your local customs office and make enquires before ordering. If there are fees, duties or taxes in your country, you must pay these fees to the relevant authorities upon your receipt. If you are not satisfied with your purchase, then please feel free to contact us for return of goods. As long as you notify us your reasonable intention to return within 7 days after receiving goods by email, we will gladly give you a full refund (excluding freight and insurance charges). However just to note that all customer must pay their own freight charges, insurance, duties or taxes (if any) when returning goods. When we received goods in original condition and untouched or unworn, we will then refund you money within 7 business days (All custom made jewellery is not refundable). If you are not certain of how you can arrange a return of goods, please don't hesitate to contact us. Often, the parcel will pass through the customs and goods to be opened / checked by the customs officer. We pack the goods as safe and pretty as we possibly can, however please understand that it is quite restricted with how we could pack the goods for you when sending to overseas. All our opal images are taken by digital camera with a pair of fluorescent lights. There is no colour enhancement, colouring or any kind of alterations involved. The size of loose stones are indicated by mm (millimeter) and the weight by ct (carat). For free shape opals, please find an image with a ruler by side. 3 : Product image (Click and you'll see enlarged image as below). 4 : By clicking "Add to wish list", you can restore your favorite items. 4 : By clicking "Add to comparison list", you can see and compare selected items. 5 : Click each image, to see more photos enlarged in different views. A : Click on image or right arrow to see next image. B : Click left arrow to go back and see previous image. C : Click black flame area to close the popup window. Where opal is found. Please see Learn About Opal to understand more. Our opal is measured in mm. 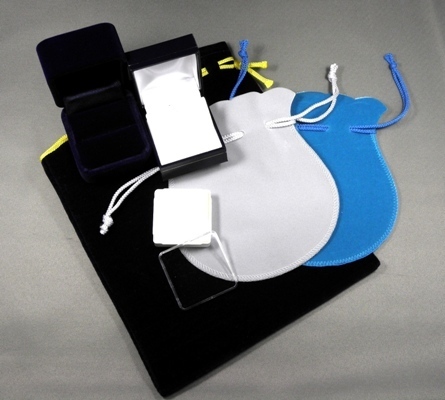 Items which are stated N/A is often applied for the free shaped opals. 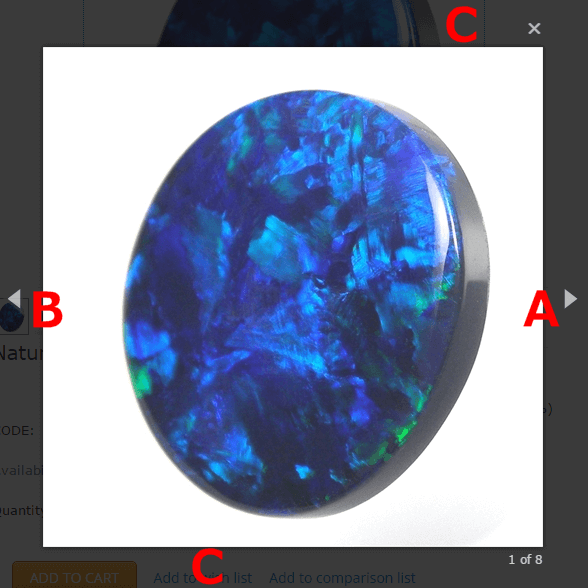 Please see images which has a ruler placed next to the opal. The weight is indicated / shown as in ct and 1ct = 0.2g in weights. Our opal often comes in Oval, Round, Teardrop, Square, Triangle and Free Shape. States the colour which is most standing out. Single colour, Bi-colour and Multi-colour is shown on the screen. Describes the arrangement of opal's play of colour. Please see Learn About Opal to understand more about beautiful opal patterns. Indicating the size of pendant head, including the area where chain goes through. 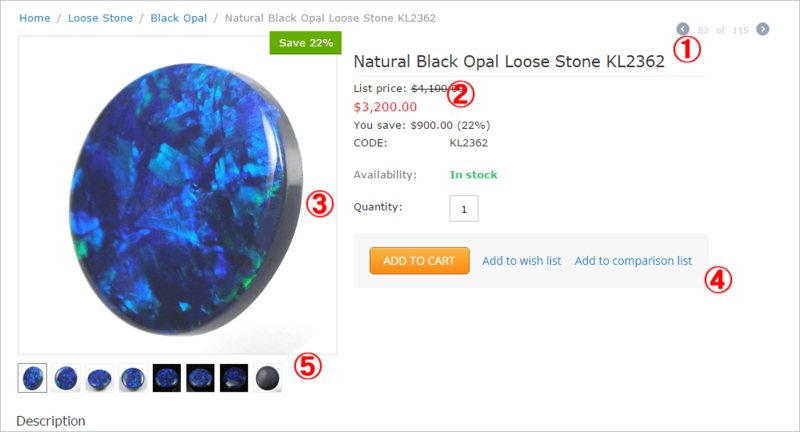 We are more than happy to assist you in making jewellery when you've selected our opal loose stone. Price may vary depending on the materials use, design and size of the opal. Please feel free to enquire for designs and quotation.